For oily to combination skin. Sweet Flag deeply tones, exfoliates and refreshes oily skin. Reduces shine, minimizes pores, prevents blemishes and regulates pH. Skin becomes more resistant to impurities. Boosts the effects of moisturiser. 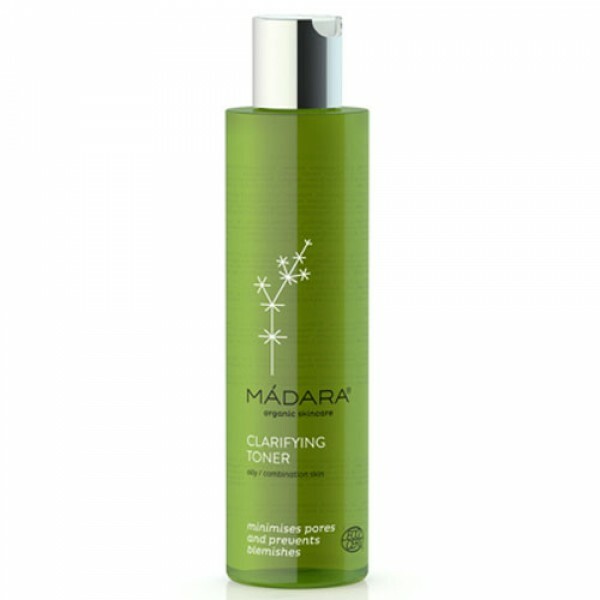 Madara Clarifying Toner is for oily to combination skin. It deeply tones and refreshes oily skin, minimizes shine, tightens pores, and prevents blemishes. It also prepares skin for better absorption of moisturiser. 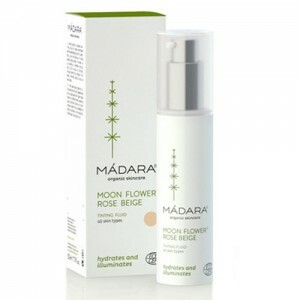 Madara is an entirely natural and organic range of cosmetics that is epitomizes beauty beautifully designed, all natural ingredients, and healthy body. The organic skin care company even recently won a prestigious Design Management Europe Award. Manufactured in Latvia the range is certified by ECOCERT, the international organic standard. Ingredients include biologically certified flower and herb extracts from the Baltic region, as well as other natural substances. In line with the ECOCERT standards at least 95% of all ingredients within the Madara range are of natural origin and none of their products contain synthetic ingredients. Madara packaging is environment friendly and can be recycled. They use only ecological cleaning agents in the production of their products, use energy efficient production equipment and do not carry out experiments on animals. Aqua Alcohol "Rosa Damascena (Rose) Flower Water*" Acorus Calamus (Sweet Flag) Root Extract* Betaine Glycerin***, Cucumis Sativus (Cucumber) Fruit Extract* "Quercus Robur (Oak) Bark Extract*" Salvia Officinalis (Salvia) Leaf Extract* Salicylic Acid**. * ingredients issued from Organic Agriculture; ** ingredient identical to natural; Natural and Organic cosmetic certified by ECOCERT SAS B.P. 47 F-32600 according to ECOCERT Standards. After cleansing your face wet a cotton ball with toner, sweep over face and neck. Continue with a suitable MADARA moisturiser. Deep Moisture Gel is the perfect choice for oily to combination skin.